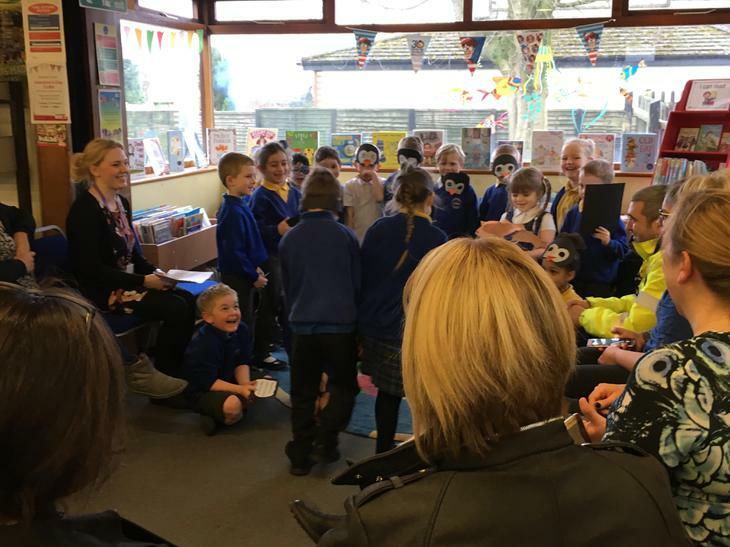 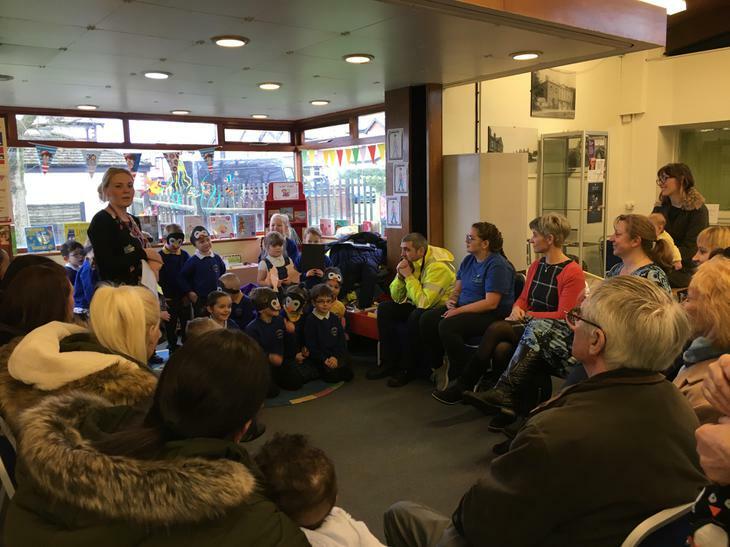 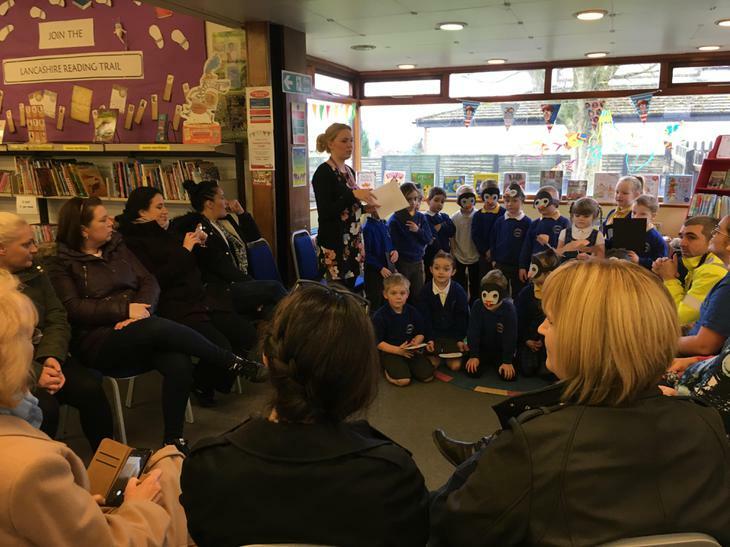 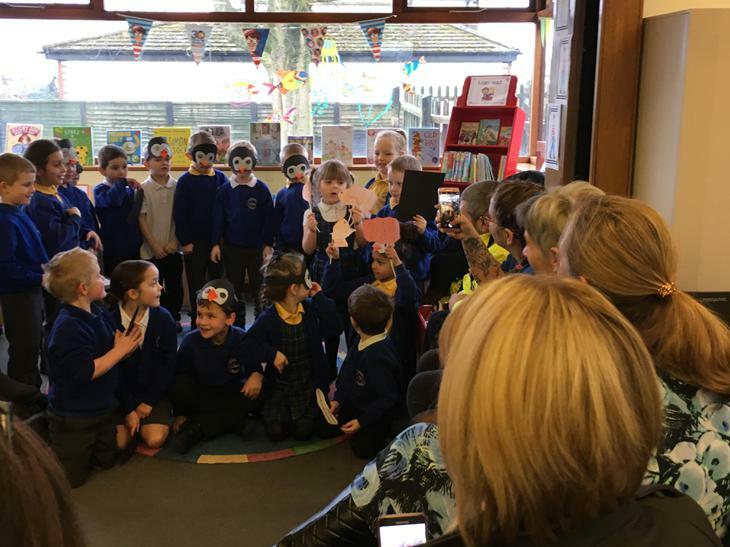 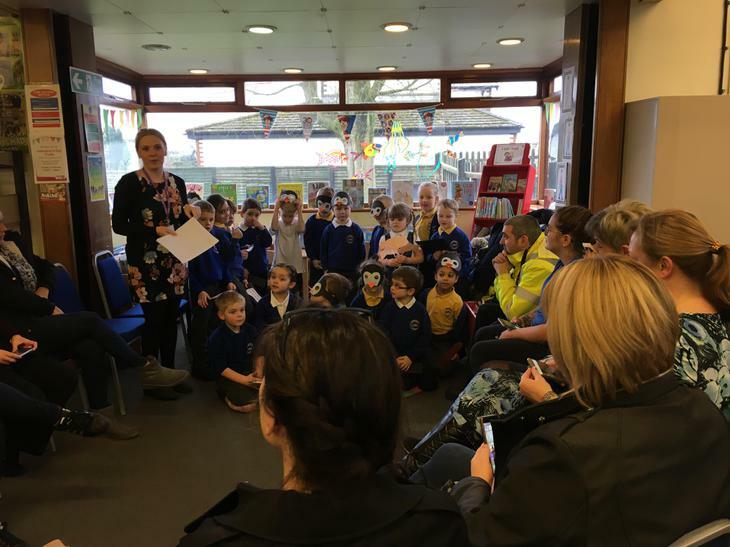 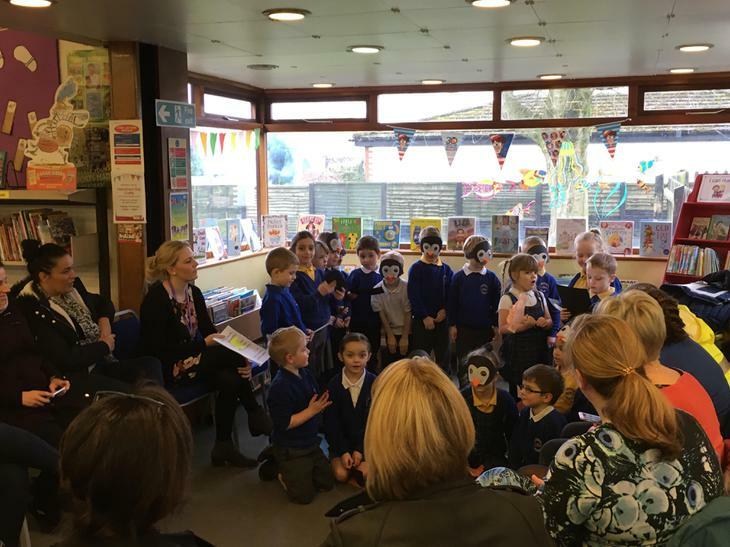 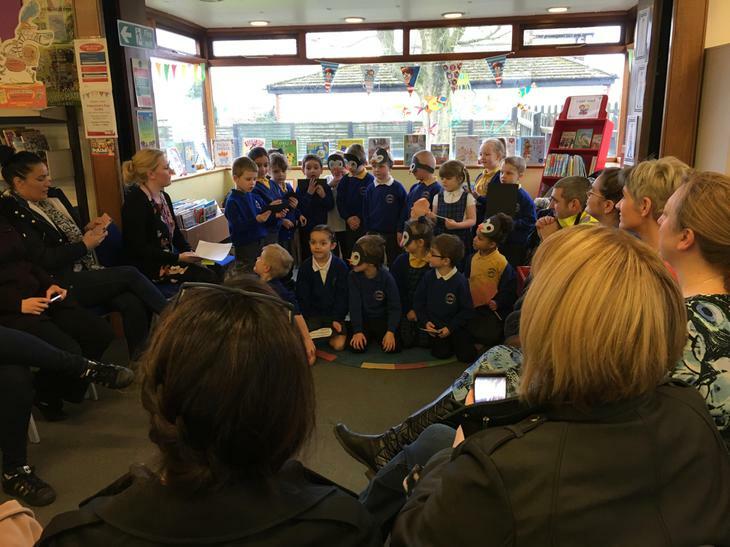 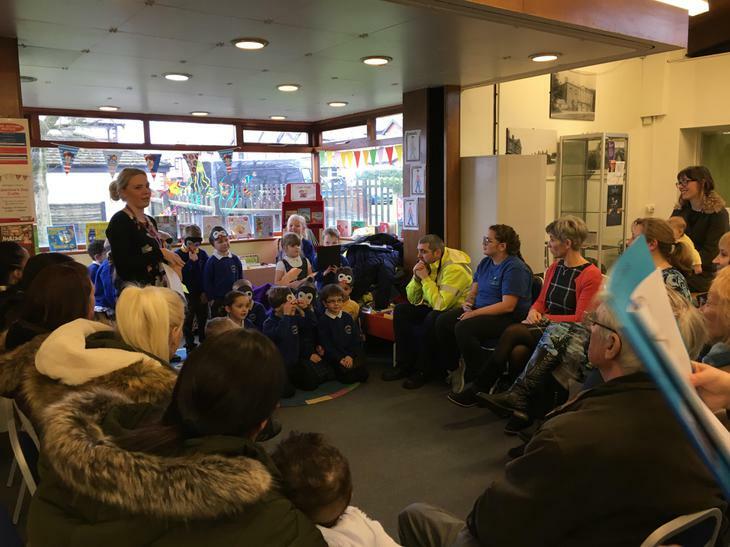 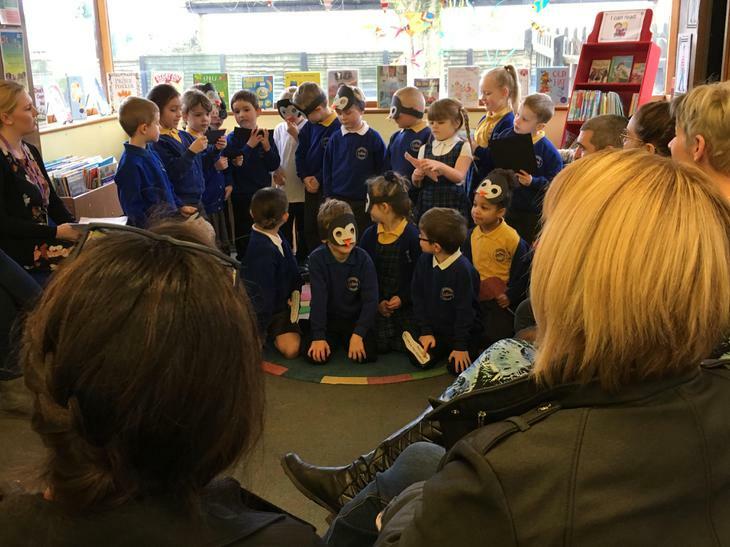 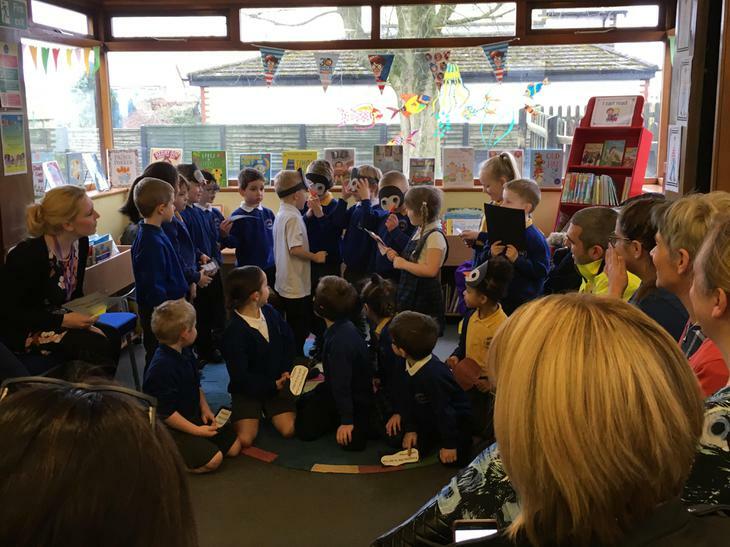 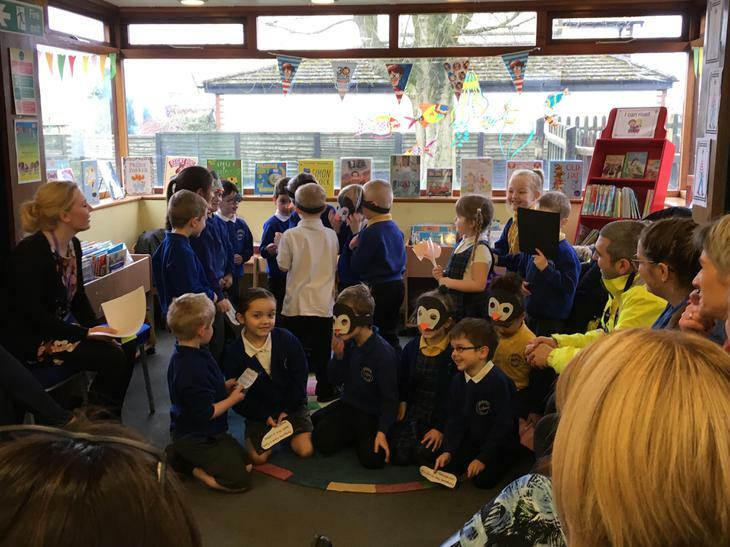 On Monday 5th Feb we had a walk up to the library to share our learning with the children's families. 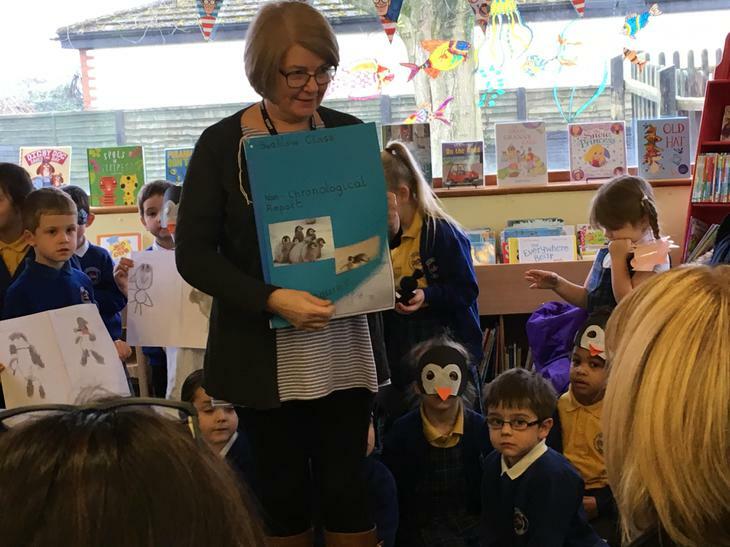 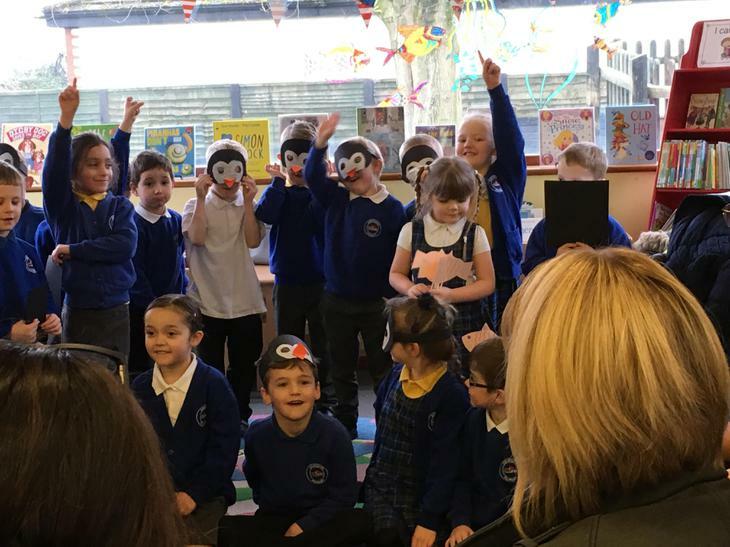 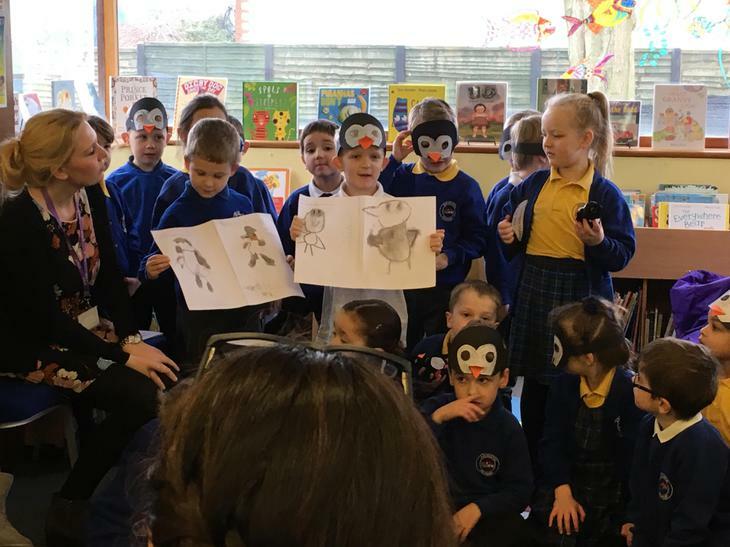 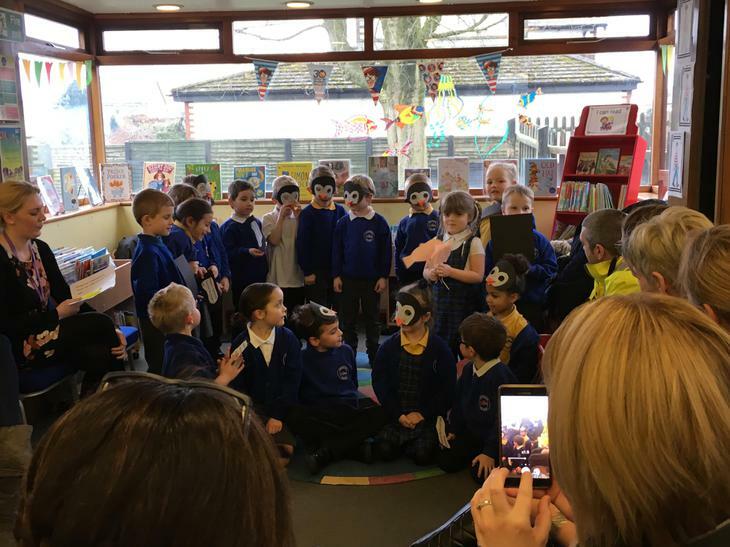 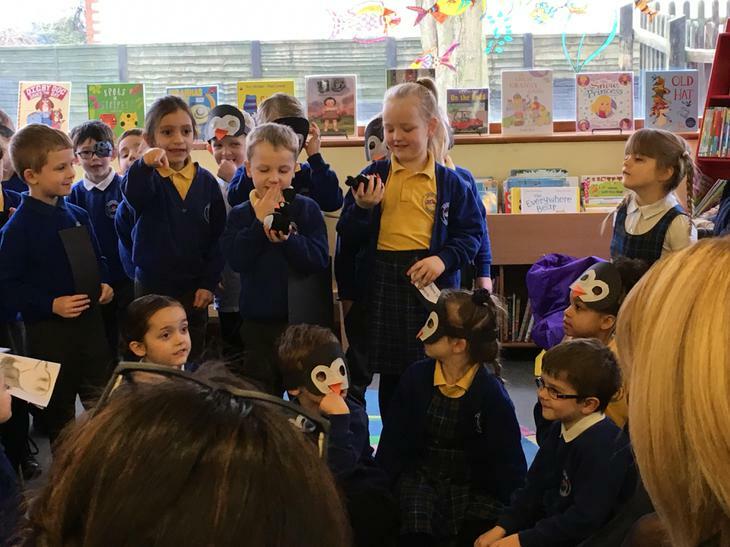 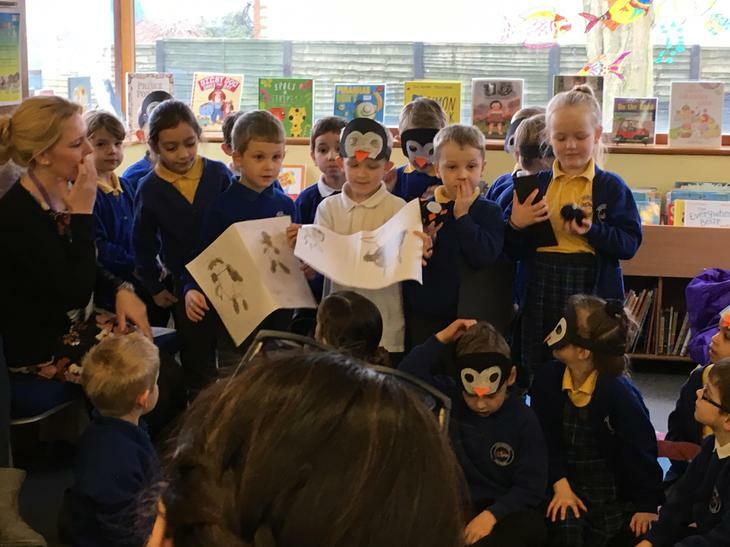 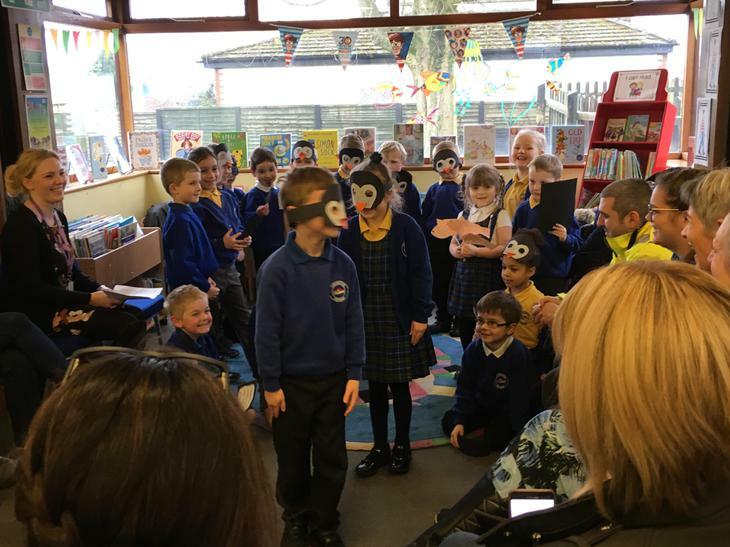 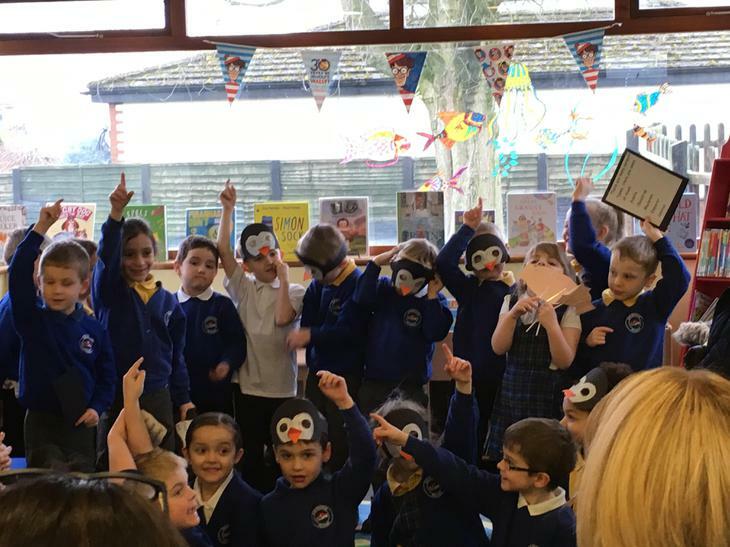 The children presented facts all about penguins and answered lots of questions asked. 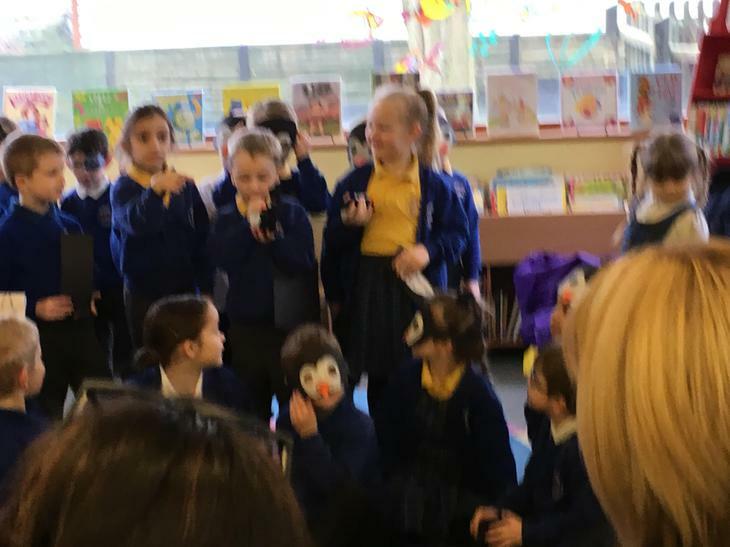 Some children acted out things that penguins do such as huddling and waddling. 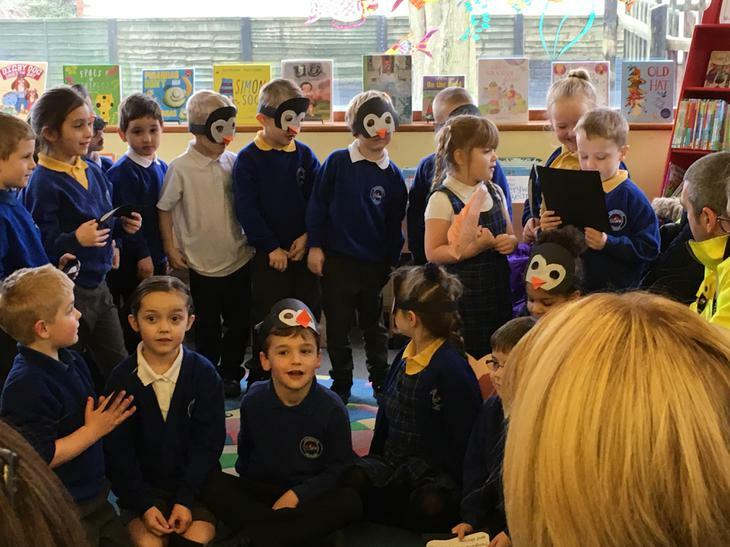 They then shared their independently written non-chronological reports all about penguins. 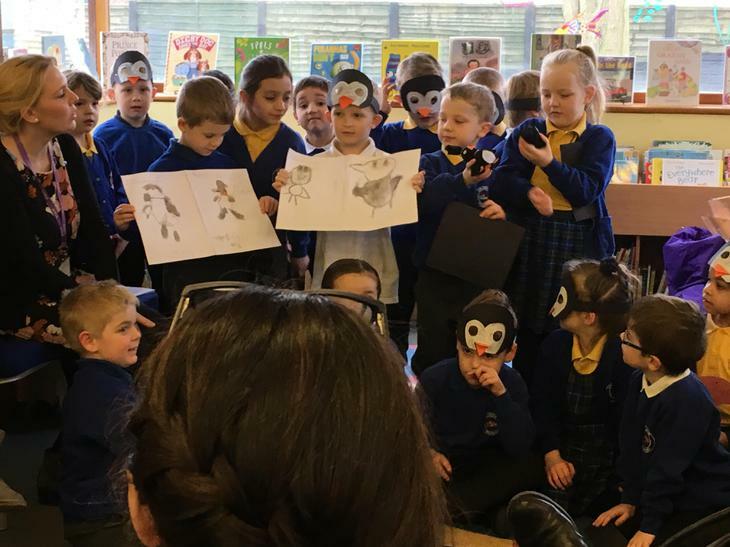 We took a sample of the artwork we had done in class and the sock penguins that we had made, for families to see.